The Cumberland Valley Visitors Bureau hosted a lunch meeting yesterday at The Kitchen Shoppe & Cooking School in Carlisle and everyone was really impressed! I&apos;ve been to The Kitchen Shoppe before but never the Cooking School area and I was pleasantly surprised by it&apos;s size and quality. The chef welcomed our group and shared that they host tons of classes throughout the year that anyone can sign up for ranging from lunch and dinner to hands-on and demos. The Cooking School can also be rented for individual meetings and parties. The menu was delicious! We had a salmon and brie strudel appetizer which was wonderfully melty and cheesy. Our chef showed us how to make this and even though it included phyllo dough and smoked salmon (two seemingly tricky ingredients) she made it look easy and included a lot of helpful tips. She also featured a few unique gadgets they sell in the store including a really handy supoon (sit-up spoon) that I&apos;m confident almost everyone purchased after the meeting. 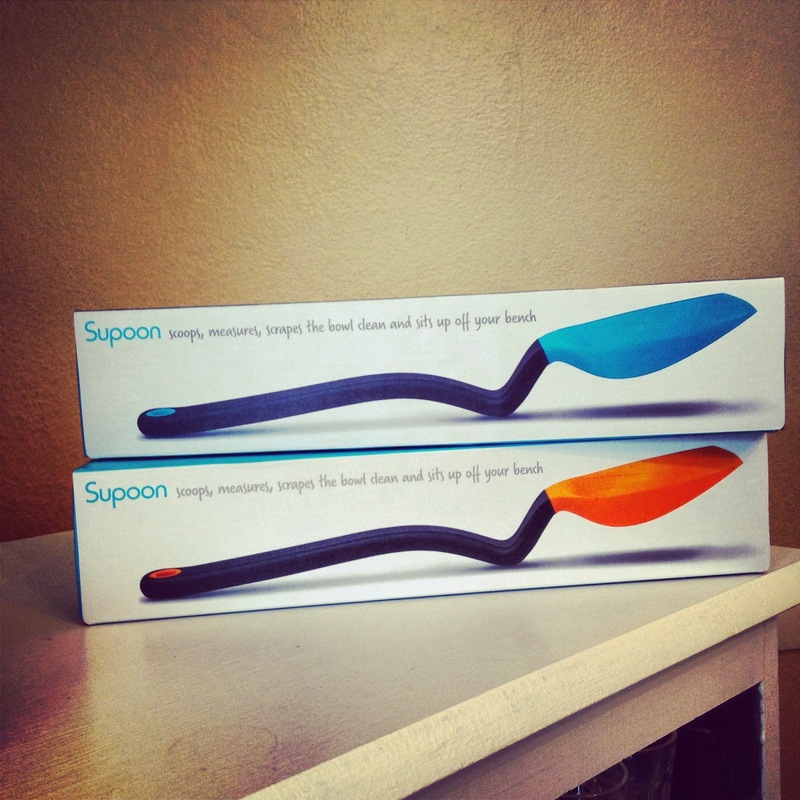 This spoon allows you to stir and scrap while acting as a measuring spoon and you can set it on the table without the spoon part touching the countertop. I bought two as gifts (see below). The rest of our meal included chicken and spinach lasagna ruffles, an apple and pecan salad and a Mexican chocolate cupcake. They were all very very good and everyone kept talking about how full they were. 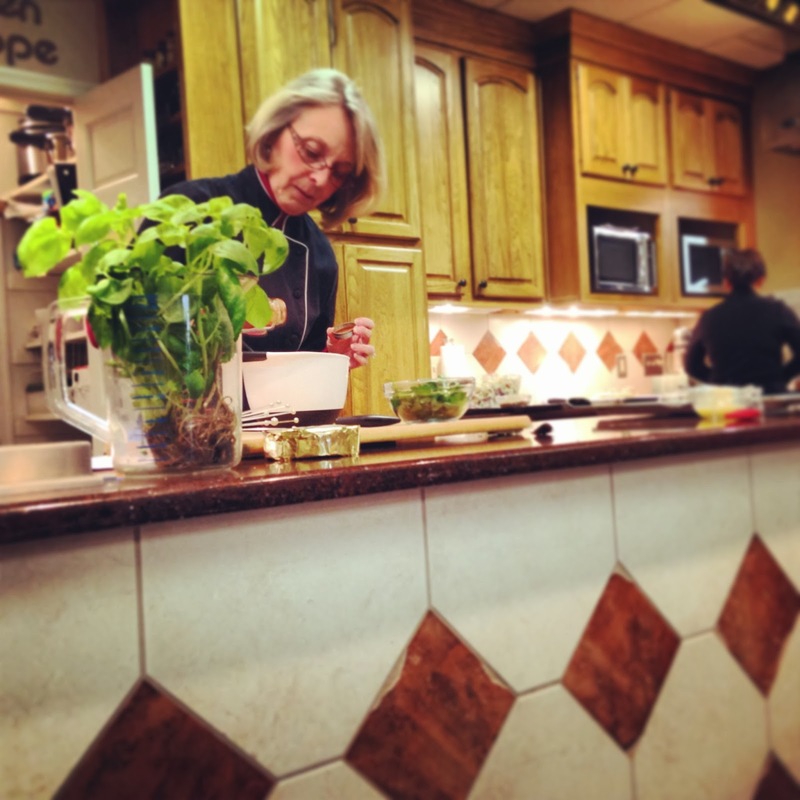 If you are looking to host a meeting, want to learn a new cooking skill or shop for the newest kitchen gadget, stop by The Kitchen Shoppe & Cooking School...you won&apos;t be disappointed.